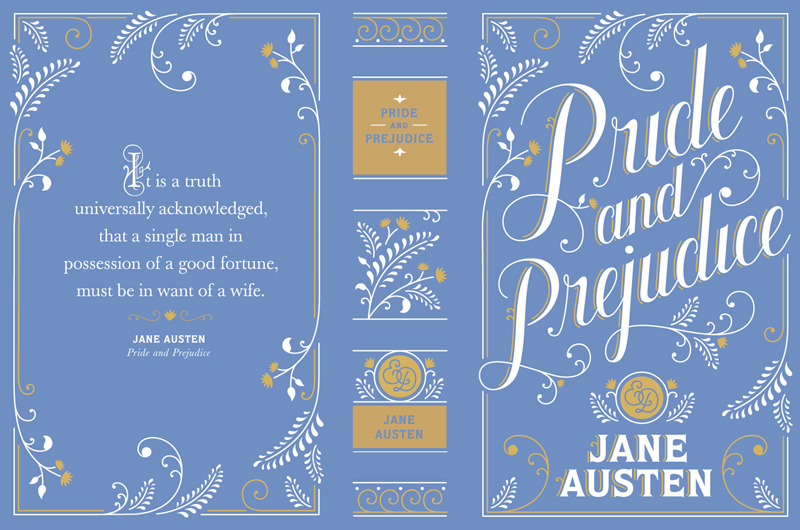 first found Jessica Hische’s work through an article about the Daily Dropcap – a blog she started that illustrated drop cap letters that people can download and use on their own blogs. See this pretty letter I?? Genius idea that catapulted her freelance business and got her a lot of work. I have a ton of ideas that I want to accomplish so when I saw her site and all of her side projects, I was awed and amazed. She taught herself web design and now spends her free time creating resources for other designers, and just visual eye candy. She has the most amazing engagement site you’ll ever see, an enourmous, helpful roundup of printers, a community of people helping one charity a week, and Mom this is how twitter works – which I’m not ashamed to say that I’ve learned a thing or two from that one. Discovering her sites made me realize that I can work on all the ideas I have and not starting is really what’s holding me up. Jessica Hische’s portfolio is a designer’s dream portfolio – that makes it sound like I can just order one – but she is so talented and works really hard. She calls herself “a robot.” Jessica has done work for some serious clients and worked on everything from magazine covers, book designs, to fonts that were dipped in chocolate. 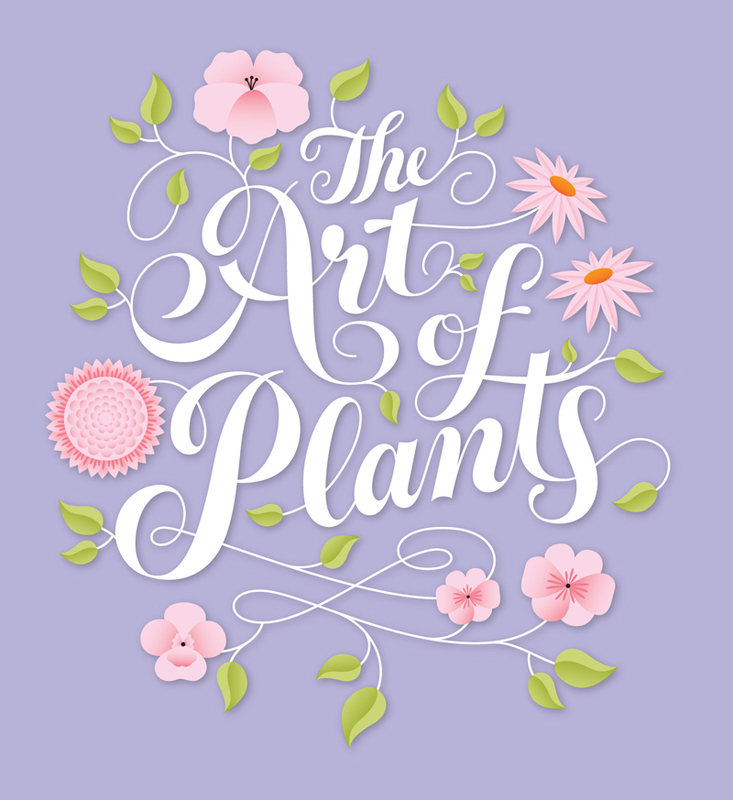 She focuses on hand lettering and type design – things I’ve recently fallen in love with since my lettering class. You’ve probably seen her work before. Images of her work above and below. 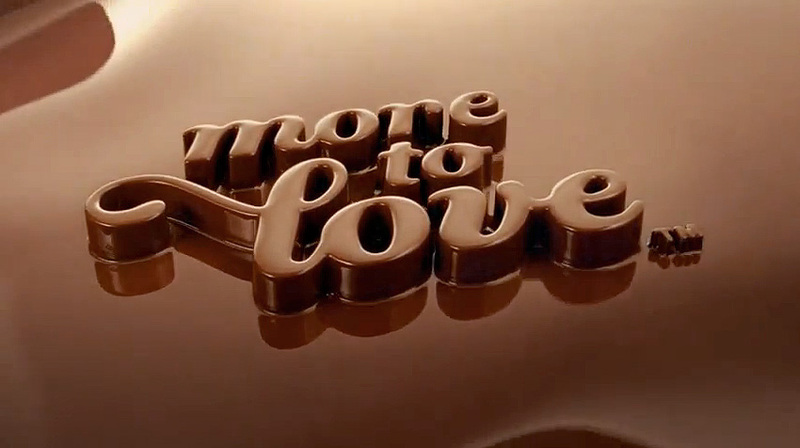 The top is a font she designed, which was 3D printed and dipped in chocolate for Dove. 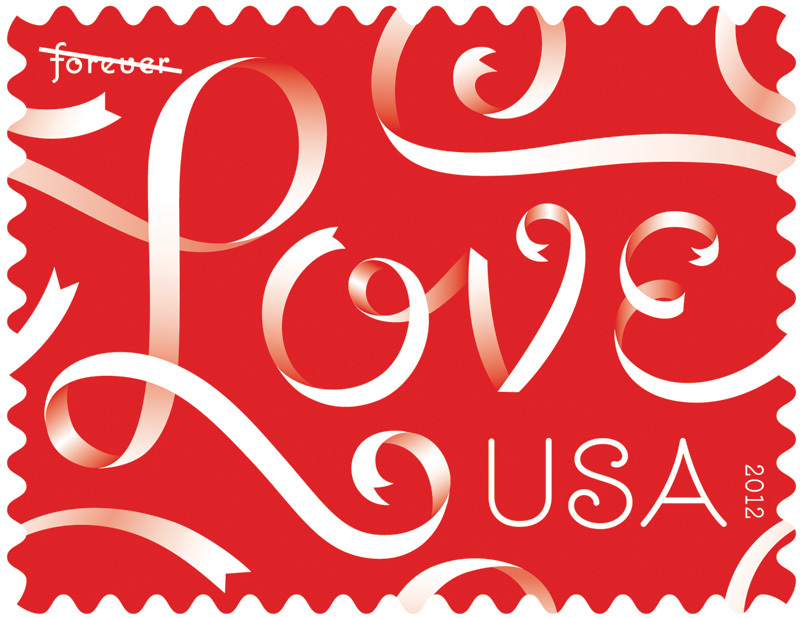 The love stamp selling this year. 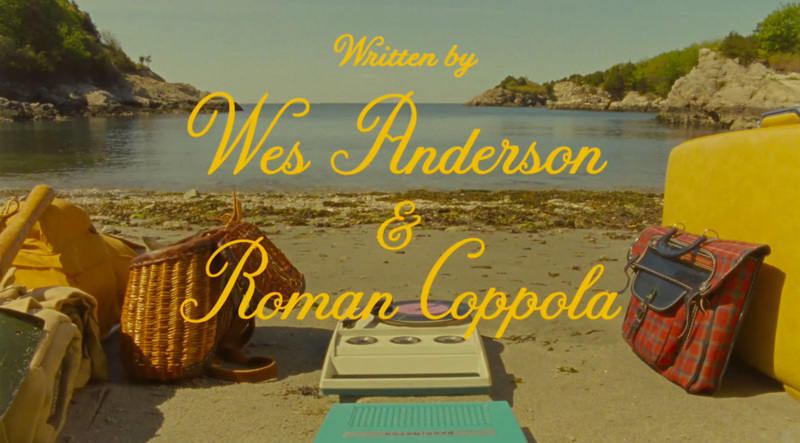 The font for Moonrise Kingdom. 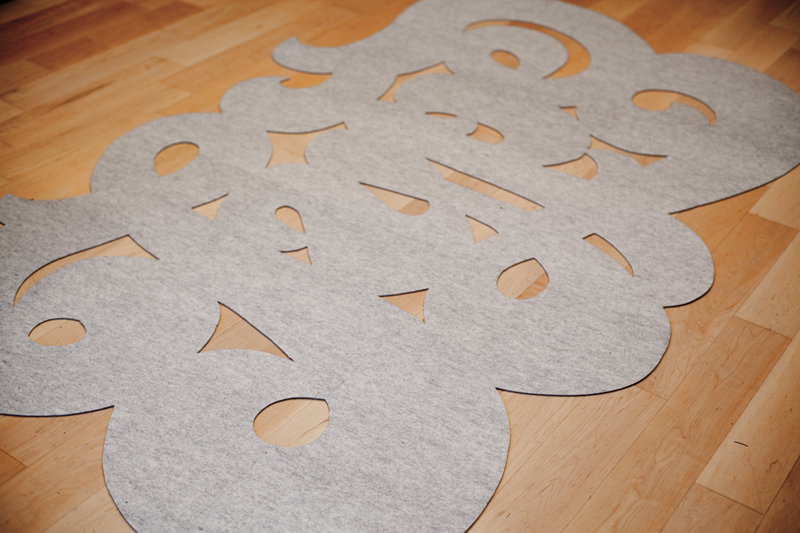 The bottom is a TYPE rug that she exacto-ed (probably not a word). 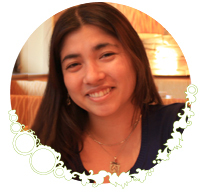 See all of her inspiring projects on her site. I can’t get enough of them.